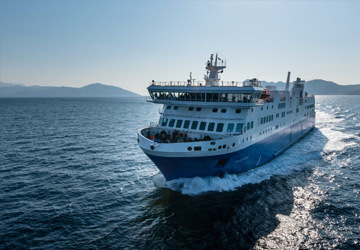 The Naxos Thira ferry route connects Cyclades Islands with Cyclades Islands and is currently operated by 3 ferry companies. 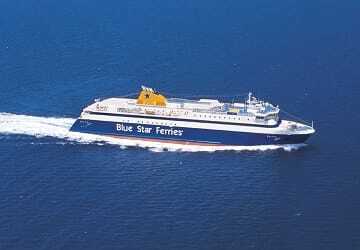 Blue Star Ferries operate their crossing up to 11 times per week, Sea Jets 14 times per week & the Golden Star Ferries service is available up to 14 times per week. 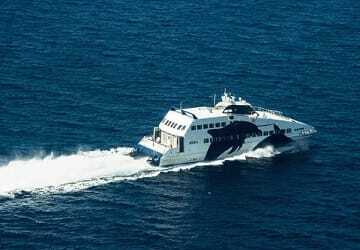 There are a combined 39 sailings available per week on the Naxos Thira crossing between Cyclades Islands and Cyclades Islands and with 3 ferry companies on offer it is advisable to compare all to make sure you get the best fare at the time that you want to travel. Prices shown represent the average one way price paid by our customers. The most common booking on the Naxos Thira route is a car and 2 passengers. The ship was on time, boarding was very fast and easy, if not a little mad with all the people rushing and the vehicles disembarking at the same time. I booked seats in the buisness lounge, they were easy to find, very comfortable but we didn't need to book as there were plenty of seating areas on board. The fast food takeaway was not very good. It was extremely slow, they took orders but the food wasn't ready and a number of people who had part of their orders ready by the time the rest was ready the original parts were then cold so had to then wait for warm food. The cafe was good. The off loading was an experience. You were called to the cargo bay and had to wait with everybody from the ship in a very hot cargo bay with your luggage until the loading bay was open ended and then it was a free for all, everybody trying to get off the ship. If you have trouble walking I would suggest waiting till the end, do not go first you will be trample led in the stampede!!!! Overall though a pleasurable experience and now I know what to expect I would travel with them again, I just would be more prepared. 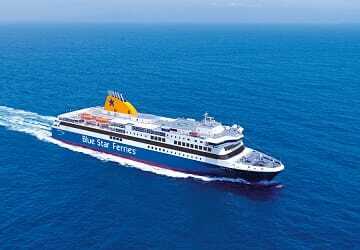 Blue Star Ferries offers many ferry services around the Cyclades. Fantastic service, always on time, beautiful view from the deck. In short, highly recommended. 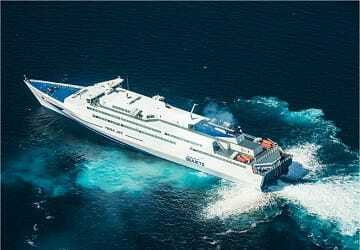 "First time user of Blue Star Ferries"
I used Blue Star Ferries 3 times within the span of 5 days to get from Piraeus to Naxos to Santorini and back to Piraeus. It was surprisingly easy to book a ticket online. Because Blue Star always had the cheapest rates, I figured that it would be pretty crappy. It wasn't, and it was a much better ferry experience than I expected! The ferry allowed us to board ahead of time (when we were the first port), there was plenty of room, the seating was fairly comfortable, there were eating and bathroom facilities, and the ferry left on time. I was also nervous about obtaining my tickets in person, since I had only been able to reserve the tickets online (wasn't allowed to print an actual ticket). This, too, was easier than expected. I just showed my reservation # to someone at the Blue Star Ferries kiosk at whatever port I was at, and my tickets were available for me. 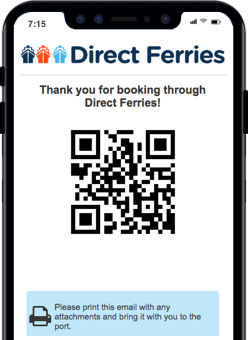 One thing I'd suggest to any other first time user, though, is to pick up ALL of your tickets (if you have multiple trips) at one time, as you never know if an office is going to be closed at the time that you need to board your ferry (i.e. a very late ferry). Lastly, we also took an overnight ferry, and this too was much better than expected. Though we only had economy tickets, I didn't expect to have so much space to sleep. I figured we would have to sleep on the floor or in bus-like seats. It wasn't the best sleep I've ever had, but it was better than expected for an overnight ferry ride. 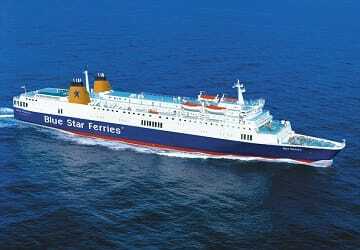 Blue Star has good service and new, lovely ships, good price. Good food on board. We spent 2 enjoyable hours onboard the Blue star ship. Enjoyed the sea view. 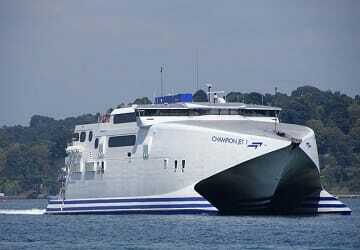 The ship is nice and has a lot of facilities which makes the trip memorable. Very nice ship! You can relax on the deck and enjoy the great view. The onboard-catering was good (delicious espresso), the ship is also very clean.